Over the last 10 years we have structured our business to deal with both small business and corporate needs simultaneously. All of our team are locals and most have lived here their whole lives, we have a very strong supportive base in the community and strive to keep our clients happy. We think it is important to treat all of our clients equally no matter the size of the job or the client. With over 90% of our clients being referrals, it is key that our customers are fulfilled with our service. 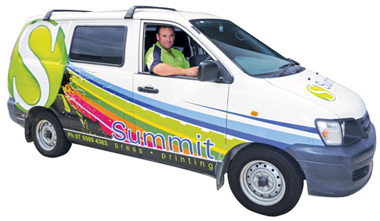 Summit press printing offers a complete in-house design /pre-press department, providing conversion of customer supplied files through to final artwork, design, type-setting and layout. Summit Press Printing will liaise directly with you or your appointed representative to discuss any complexities that may be associated with your particular print project. We look forward to building a growing relationship with you.